A universal method and approaches to application integration that would satisfy all the tasks and conditions does not exist! However, there is a way that is optimal within the framework of a specific integration scenario. Application integration is a complex and multifaceted task that covers all levels of the corporate system – its architecture, hardware and software, and processes. When integrating business processes, a company must identify, implement and manage corporate information exchange processes between different business systems. Thanks to this, the organization can simplify operations, reduce costs and improve response to customer requests. Integrated integration includes process management, process modeling and a workflow that encompasses various tasks, procedures, architectures, the required input and output information, and the tools required for each step in the business process. 3) data level – the level responsible for organizing data access and working with the database, this is the level of the database servers. 3) integration at the presentation level – data on screen scraping technology is extracted to the intermediate layer. Provides access to application functions through the user interface by simulating user input and reading data from the monitor screen. Technology based on the ESB (Enterprise Service Bus) architecture, which provides managed interaction between all applications connected to the enterprise bus. Modern industrial systems are complex software that can process messages based on universal formats and provide multi-channel messaging between all business applications. -set of adapters that allow different applications to connect to the broker. 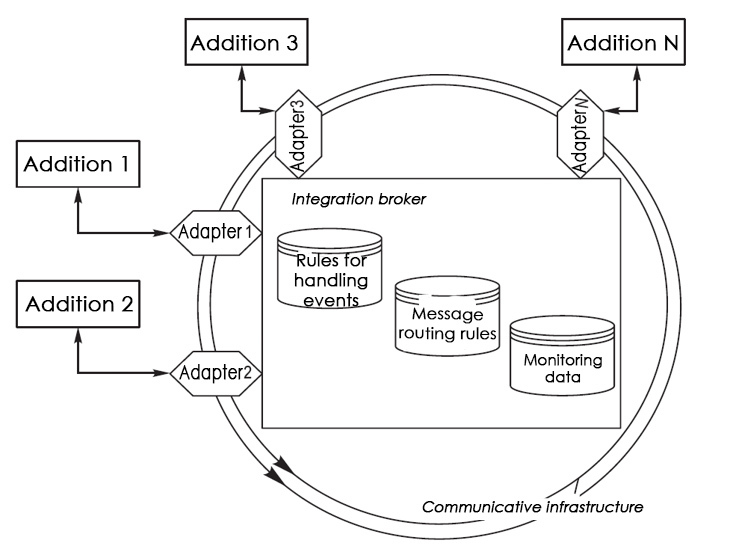 2) establishment of physical connections between the components of the integration solution. Different repositories use different data schemas for the same entity. The task of the intermediate layer is to harmonize the differences between these schemes. Data replication refers to the process of moving data between two or more repositories. Replication is a data-processing-oriented transformation technology designed to solve migration, consolidation, data warehousing tasks. often using the term ETL (Extraction Transformation Load). The technology of replication is focused on processing very large amounts of data. Under the federation of information is understood the process of extracting data from various sources in real time and presenting them in a unified unified form. This is a technology of transparent access and data transformation, providing a single interface for access to all corporate information. – availability of available tools. 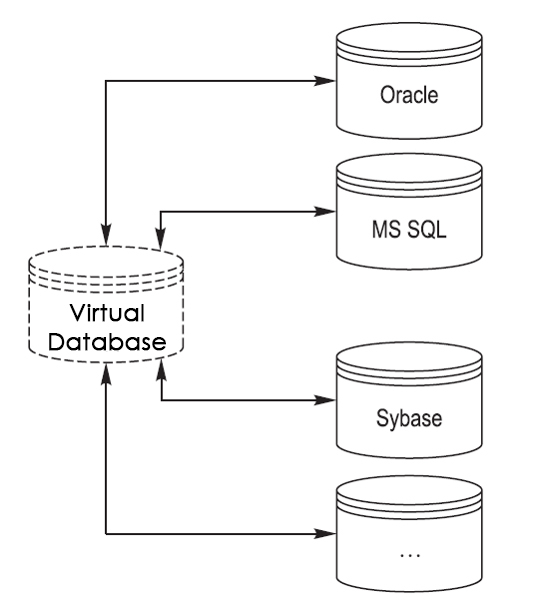 Data exchange between applications is performed in batch mode. 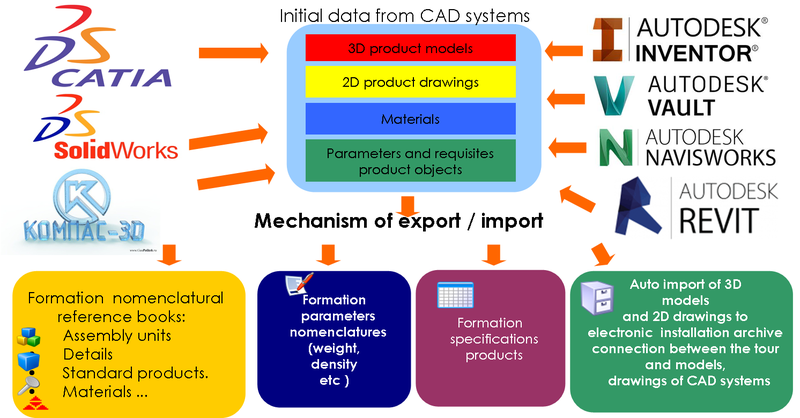 Data export and import operations are performed by special modules (services) for exporting or importing relevant applications. 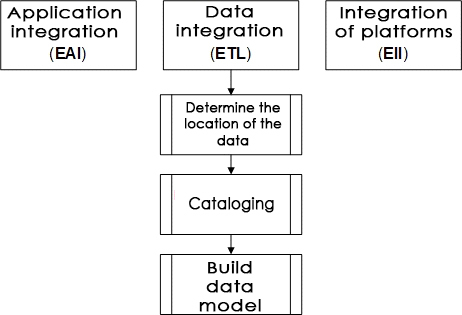 In a number of cases, the task of developing such models is being solved within the framework of the integration project for specific user business processes.